So this week was a little tougher for me. Before I could compile my list I had to do some research on what the hell a “character driven” novel is. I’ve heard the phrase before, but I’ve never really stopped to consider if what I’m reading is character driven, plot driven, or both. If I like it, I read it. One of the best references I found (assuming it’s accurate) that helped me to understand the differences in these plot devices, separates the two by defining character-driven stories as relying on feelings, creativity and intuition – the characters’ lives, motives and choices tell the story. In contrast to this plot-driven (or action-driven) stories focus on the goal in the story and how the character goes about achieving that, including obstacles that stand in the way, and the character’s reactions to events in the plot. In most books I love, there seems to be a blend of the two, so for today’s list I’m including books where I feel the character development, back stories and motives drive the story most. 1. Gone Girl by Gillian Flynn – I love this book. I hate it in equal measure. I push it on everyone. It’s my favourite Flynn novel, and yet the first time I finished it I wanted to rip it into little bits, fling it at a wall and burn it. I love the character psyche insights, the omniscient reader experience and the thought-provoking questions about human nature the nature of psychopaths. I hate Flynn for ruining my happiness for days after finishing it. I’ve never been so in love with a book I’m so conflicted about. It’s deliciously infuriating. 2. Room by Emma Donoghue – Narrated by five year old Jack who is living through an emotionally traumatic experience, most likely unknown to him as the story unfolds, this book was difficult to get into (due to a 5 year old attempting to tell the story), but was excellently written. My review of Room. 3. The Fault in Our Stars by John Green – I don’t quite fangirl over this book as hard as most John Green fans, but I really enjoyed this read. It was painful, hopeful, heart breaking and emotional, and the story very much relied on the characters’ stories and life developments. My review of The Fault in Our Stars. 4. The Time Traveler’s Wife by Audrey Niffenegger – This counts, right? It’s been a long time since I read this book. In fact, I’d love to fit in a reread this year, if possible. The love story, and the personal struggles our main characters face trying to deal with time travel propel this story, adding weight, emotion and depth. 5. Far From You by Tess Sharpe – A fabulous debut novel. I loved the development of the main character, Sophie, and I loved the mystery element to the story as Sophie investigates what happened to her best friend, Mina. While there are plot-driven elements to this YA mystery, the underpinning story comes solely from the lives and loves of the characters. 6. Throne of Glass by Sarah J Maas – Again, I’ll argue my case for this one. Although this series is high fantasy and full of action, the characters, their back stories and their self-discovery are all essential elements in what drives the story forward, and what makes it so amazing! 7. Pushing The Limits by Katie McGarry – You could include all of my New Adult favourites for this. This series is usually categorised as Young Adult, but I feel it closes the boundary between YA and NA. I’ve picked Pushing The Limits (and really, all of this series) because they are just so well done – the characters, the back stories, the romance, the swoons. I’m really looking forward to reading more of these. My reviews of Pushing the Limits and Dare You To. 8. The Rosie Project by Graeme Simsion – I was recently approved for The Rosie Effect on NetGalley and I’m so happy! While the main character in this story reminded me too much of a certain Sheldon Cooper for me to really love it, I still enjoyed the read and found it to be very witty, and it’s great seeing some more diverse characters in fiction. My review of The Rosie Project. 9. The Perks of Being A Wallflower by Stephen Chbosky – This is a recent read that I really enjoyed, it was surprising, and I really like the diary-entry style, which reminded me of the Adrian Mole books, a series I loved when I was younger. For coming-of-age stories, mixed with some deeper issues, Perks has the perfect mix. My review of The Perks of Being A Wallflower. 10. Harry Potter by J K Rowling – Rowling can do no wrong. 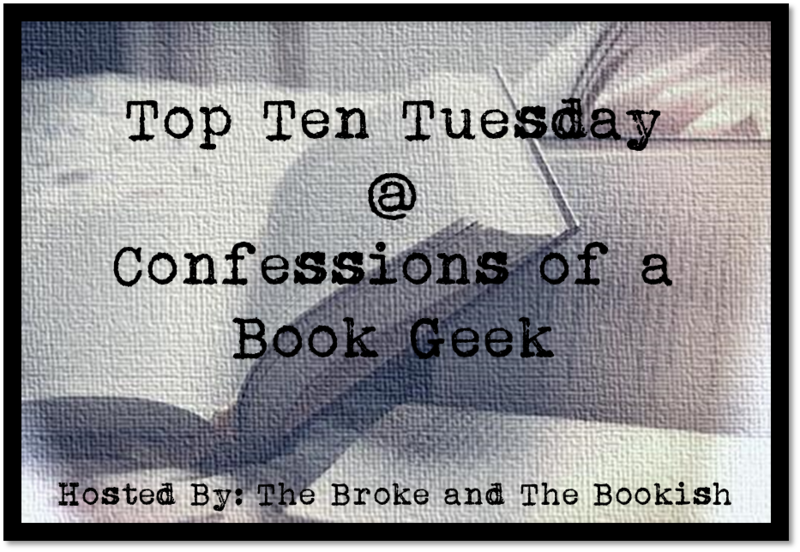 Although The Casual Vacancy would probably be a more obvious choice for this week’s Top Ten Tuesday, I can’t ignore the amazing-ness that is Harry Potter (and it’s been at least a week since I’ve included it in my list!). Yes, the plot and action drive this novel, but so do the deeper questions of friends, family, loyalty and discovering who you are, and who you want to be. How do you define a “character driven” novel? And which books made your list today? Link me up in the comments! Nice list, with two that also nearly made it on to mine – The Time Travellers Wife and Room. One on your list that I’m looking forward to reading is The Rosie Project. I’m just about to start it! Nice. The book was fab, so can’t wait to see Gone Girl the film. Before I go to Sleep is really good, if you get the chance. Yay! Another GG lover! I read Before I Go To Sleep a good few years ago now, was a great read, really enjoyed it. Reminded me a little of Memento. Can’t wait to see the film for it either. I love the title of your list this week. I like my characters to be very flawed and I also like them to suffer a little too. I have three words for you if you are looking for such characters: The Raven Boys. Thanks! 🙂 I’m glad I’m not the only morbid one! Lol Ohh, I’ve been recommended that series a few times now. Thanks for the rec, will bump them up my purchase list! I almost included Harry Potter as well. I think those books are both character and plot driven. The plot and the mystery and the action are great, but I think the books are so wonderful because the characters are so well developed and so interesting and so easy to relate to. Pushing the Limits and The Rosie Project also made my list this week. I love those books so much! And excellent choice in listing The Fault in Our Stars. I read Potter and Perks, and I absolutely agree with you! They made my list as well. Such amazing, touching reads. I also read TFiOS and I agree – it’s not all that as people make it out to be, but it’s still a very good read that’s super emotional. Hey, thanks for commenting 🙂 How could I not include Potter? So much drive from character development. I’m going to buy/get a new set for Christmas (I own the Bloomsbury originals and they’re well thumbed! And I want a new set so I don’t have to reread/damage first editions), but I’m so torn on which set to get! Any recs? The Time Traveler’s Wife is a good choice. I really liked the characters in the novel (Henry and his affliction drive the story, after all!) but I wasn’t that thrilled with the movie. I read the novel a good while before the movie came out, so I wasn’t judging it very closely, but I enjoyed the movie (I have a soft spot for Rachel McAdams!). Haven’t read the book in a long time though – would love a reread! I need to read Far From You as I’ve heard good things about it. I completely agree with your choice of adding Harry Potter to the list! It wouldn’t be half as captivating as it is without the core characters and their struggles and triumphs. I think that Harry and the Potters ‘the weapon we have is love’ song sums it all up nicely! Far From You was a great read. Argghh, so many people talk about Sarah J. Maas, I have to get round to reading those. I completely agree with you on Gone Girl! Amazing but angering right????!!! Lol can’t wait to see what they do with the movie though! Pushing the Limits made my list too. But I’m so mad at myself for not thinking about The Fault in Our Stars or Harry Potter. I mean HELLO!!!!!!!! What was I thinking? Yeah characters with issues is good and important but what I don’t like is when they are BROKEN you know what I mean? Well I mean like ones that have extreme drug addictions or alchy abuse or things like that. I am just not into reading about someone indulging in abusive behavior. Oh yeah sometimes definitely but when it happens to frequently I just get all aggravated like they are all using the same problems to make their characters more interesting. Hmmmm. I seem to have forgotten about Perks this week and I honestly don’t know how I did that. Also, I’ve been wanting to read Throne of Glass and Gone Girl, so I’ll have to check those out. Though I don’t know about Gone Girl if it angered you so much. Haha. I’ve never read The Secret Diary of Adrian Mole. Good? I’ll have to check it out. Hahaha. I will eventually read Gone Girl. It’s been on my TBR for a while. I think I might try to squeeze one in this year. I have quite a lot of reading I’d like to do in 2014, but I get two weeks off for Christmas, so I’m hoping to get plenty of cosy reads done then. I haven’t read it in so long, so I’m hoping a reread will be as good as the first time! Yay! I’m glad you liked the movie as so many seem not to, and it’s one of my favourite book to movie adaptations! 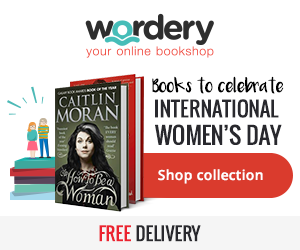 I’ve seen Room and Throne of Glass on a few lists this week! Making me think I should really look into them…. Both very good books, very different and highly recommended. Room was a thriller type novel, based on a true story and told from a unique perspective. Throne of Glass is a paranormal fantasy series with great plot and characters!